You need to see this and do as it says! the first letters of the months of July through November spell JASON?. Well, now you do. It’s October, what have you done this year? Jaywon has made money this year. He said so in that song. so what have you done this year? Tweet at us @HorizonInc1. Tell us what you’ve done this year. Well, you still have 2 months to do something though. LAshakara: THE SPOTLIGHT!! It’s here now! like right now!! no more coming soon… it’s 12 days away! i’m not joking. 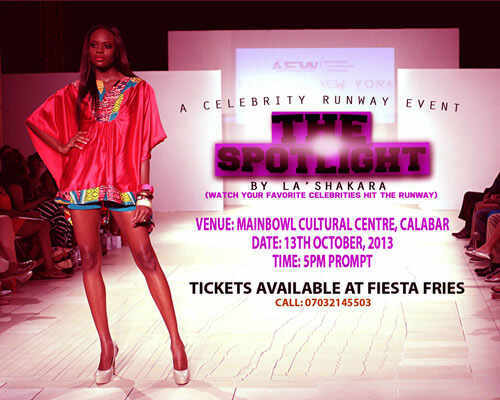 THE SPOTLIGHT: A celebrity runway event by LASHAKARA is just 12 days away. The Event is scheduled to take place on the 13th of OCTOBER, 2013. Time : 5pm PROMPT! Venue: MAINBOWL, CULTURAL CENTRE, CALABAR. Tickets are available at Fiesta Fries or you can just call; 07032145503 Can you feel the rush? GET YOUR TICKETS OO!!! You may cry oo!!! LOL. 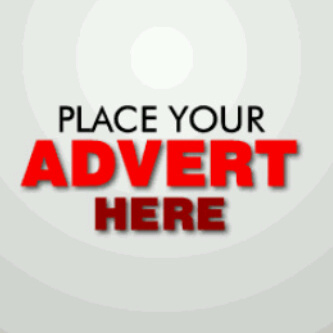 Several Professional models and top bosses in Calabar! Trust me, Calabar has not seen anything like this before! Get ready to join the countdown! Tell a friend to tell a friend that that other friend cannot miss this one! By now, you must all be well aware that EbonyLife TV is not only a Tv station but an achievement. you may not understand but just agree. Well, Zainab Balogun is a Tv Presenter on EbonyLife Tv. Her interview is coming up soon so watch this space to see an interview soon. For now, i need y’all to vote for her. she has recently been nominated for a TV Presenter of the Year at the Exquisite Lady of the Year Awards. This entry was posted in Ads and tagged adverts, blog adverts, Calabar, EbonyLifeTv, Entertainment, events., Fun, Horizon Inc, THE SPOTLIGHT, watch this space!!! !, Zainab Balogun. Bookmark the permalink. ← BadAss Photographer: Wale Adenuga.